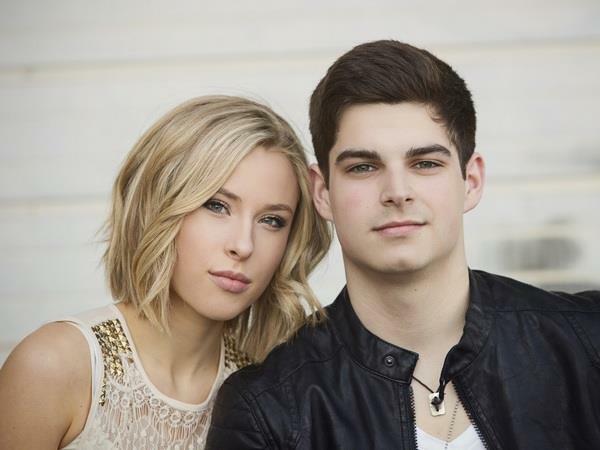 Join us this week as we welcome the country pop music duo, Gracie and Joey. Gracie Varga and Joey Jacob met while singing at their church. They realized quickly that their voices and musical desires blended very well. With the desire to move into the country genre they began putting their lyrics and music together. They soon realized that the songs that were difficult to write on their own, were easy to finish together. Their music has a pop and modern country feel similar to Lady Antebellum. Catchy melodies and heartfelt lyrics can be heard on the EP “Runaways”, which they recorded with Billboard charting platinum producers Zack Odom and Kenneth Mount. The music video for their single “Lovin' You” produced by Revolution Pictures, the same team behind videos for Carrie Underwood and Taylor Swift, helps put to motion the music they like to share. They have been performing around Nashville and into Georgia and Florida. Their heart-felt lyrics and catchy melodies along with their blended vocals have captured the attention of all who hear them. We will talk to Gracie and Joey about their upcoming schedule, get a behind the scenes look at their music, feature their latest songs, and ask them to share their message for the troops. Please be sure to visit Gracie and Joey at http://www.gracieandjoeymusic.com/ and spread the word. Fans are welcome to call in and speak live with with them during the show (718) 766-4193. If you would like to participate in the live chat during the show, you must sign up on the show site first and then log in during the show. And as always we will give shout outs to our deployed military listeners. Be sure to join us, Sunday 9/28/2014 at 4 PM EDT! Our message to the troops....WE do what we do, because YOU do what you do.